The English capital is home to numerous top tier primary and secondary educational facilities which is why young families prefer to move to London. But renting or buying a property in a random area of London doesn’t necessarily mean that you will have access to a renowned school. Here are the districts which are the location of some of the city’s finest educational institutions. The suburb of Muswell Hill lies in the northern parts of London at about six miles from the junction of Charing Cross. It is located in the Borough of Haringey and Barnet. The area is home to several acclaimed primary and secondary schools including Alexandra Park School which was founded in 1999 and presently provided high quality secondary education to an estimate of 1.200 boys and girls between the ages of 11 and 18. Muswell Hill is also the location of TreeHouse School a specialised educational facility which works with children diagnosed with autism. Other noted schools in the district are Eden Primary and Fortismere School. The area of Southgate lies in the Borough of Enfield, has a population of almost 15.000 and is home to several well-known educational facilities. Southgate School is perhaps the district’s best secondary educational venue. It was founded in 1907 and presently has over 1.500 students. Among its most notable alumni are Matt Di Angelo, Jonathan Lamonte, Jake Hook, Ron Moody, Alexander Dalgarno, Leofranc Holford-Strevens and more. The Ashmole Academy is another prominent secondary school in Southgate. It dates back to the late 1950s and is a coeducational facilities which has an estimate of 1.450 pupils. The area is also the location of the Barnet and Southgate College which makes it suitable for families who have children who are about to pursue their further education. 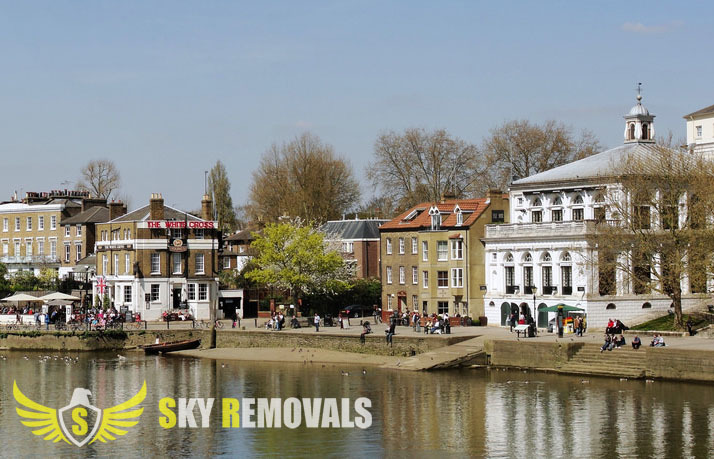 Aside of being able to easily find an excellent school for your children you can also quickly relocate to the borough by using professional man and van services in Richmond. The district of Crystal Palace isn’t famous only for its numerous landmarks but for its top notch educational institutions as well. The Harris City Academy was founded in 1990 and is perhaps the best secondary school in the area. It has almost 700 students. Paxton School, Rockmount School and All Saints C of E School are the district’s most acclaimed primary educational venues.